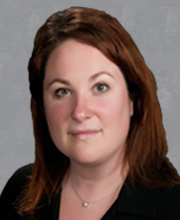 Beth Feder joined the Winston Law Firm in January 2015 as an Associate. She handles all types of personal injury claims, including but not limited to auto accidents, motorcycle accidents, slip and falls, property damage and wrongful death claims. In addition, she handles uncontested divorces and other family law matters. Ms. Feder moved to South Florida in 2009 following over a decade working in the area of civil litigation, primarily in family law, in New York. She specifically worked with gender-based violence cases in the non-profit sector. Ms. Feder is an active member of many community organizations. She currently serves as the Treasurer and is the Vice-President-Elect of the Broward County Women Lawyer’s Association. She is also on the Board of Directors for Counselors Advocating Resources for Everyone, Inc., a non-profit dedicated to providing free legal services to the elderly in the community. Ms. Feder was born in Brooklyn, NY and raised in Wayne, NJ. She graduated from Rutgers College in 1994 and New York Law School in 1997.